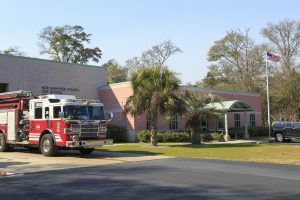 New Hanover County Fire Rescue offers a wide variety of outreach services to the community. The links below highlight and provide additional information about these services. Also check our safety facts for the latest information on how to keep you and your family safe. Smoke alarms should be installed inside every sleeping room, outside each separate sleeping area and on every level. 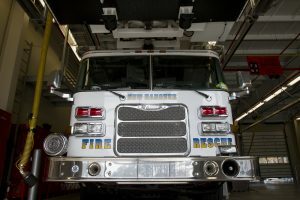 Smoke alarms should be connected so when one sounds, they all sound. Most homes do not have this level of protection. 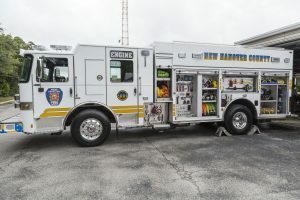 Firefighters in New Hanover County are going above and beyond their fire prevention work this year by encouraging families to get Fired Up for a safer and healthier community! Take action and don’t risk it! Be sure you and your family’s health and safety are protected! Join our efforts this October with the Fired Up Challenge as we team up and take action together to be safe and healthy! Learn more here. To help reduce the risk of accidental exposure, poisoning, or medication misuse, there are several permanent medication drop box locations in New Hanover, Brunswick, and Pender counties, referred to as the “Tri-County Region,” where unwanted, unused and expired medications can be properly disposed of for free. Download the list of medication drop boxes, or view the map below to find a location near you. Always use an FDA-cleared sharps container when available. Free sharps containers may be available from your doctor, health insurance provider, or medication supplier. If you cannot find a sharps disposal program, put the container in the center of a full trash bag and discard in regular trash. Do not put sharps containers in recycling. If the map does not display properly in your browser, try clicking the “home” icon on the map or view the full-sized map. 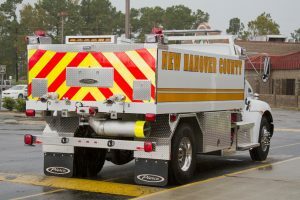 New Hanover County Fire Rescue is committed to provide a professional service to the community by protecting life and property through all hazards response and risk reduction. An important part of this mission is to provide up to date safety information to the citizens of New Hanover County. These safety facts contain the latest information on how to keep you and your family safe. Also check our outreach services for ways to get involved in fire prevention and risk reduction activities in the community. The types of consumer fireworks permissible for use in North Carolina are generally classified as sparklers, fountains, and novelty fireworks. Items that do not have a report (explode) or are not intended to spin or to leave the ground and fly through the air are legal. If you purchased it from a vendor in North Carolina it should be legal. What fireworks are not legal in North Carolina? Fireworks items such as firecrackers, ground spinners, roman candles, rockets (including bottle rockets), mortars, etc. Fireworks from surrounding states are not legal in North Carolina. Who is responsible when shooting fireworks? If you decide to shoot fireworks you are liable for any injury, death, or destruction of property. North Carolina law requires the purchaser of any consumer fireworks to be at least 16 years old. 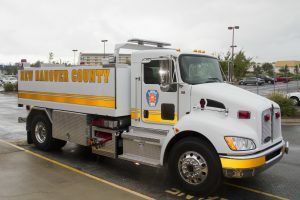 In the instance of a public exhibition of fireworks, such as a festival, carnival, etc, a permit from the New Hanover County Fire Marshal’s Office is required. The fireworks must be presented by licensed, trained, competent operators, and a representative from the Fire Marshal’s Office will inspect the pyrotechnics and viewing area to ensure safety. What are the consequences for using fireworks that are not legal in North Carolina? Violation of fireworks laws is classified as a misdemeanor, which may be punishable by a fine of up to $500 and/or imprisonment for up to six months, depending upon the level of violation. The fireworks laws cover transport, display, storage, sale, possession and use of fireworks. Are sparklers safe for young children? Often parents offer small children sparklers, thinking they are a safe alternative. Sparklers reach over 1200 degrees Fahrenheit, which can cause third degree burns. Keep in mind that glass melts at 900 degrees. What safety precautions should I take when using sparklers? Never hold a child in your arms while using a sparkler. Sparkler wire stays hot long after flames have gone out. Be sure to place used sparklers in a bucket of water. Stand at least 6 feet from another person while using sparklers. Never wave sparklers or run while holding them. What safety precautions should I take when using fireworks? Never allow children to play with or ignite fireworks. 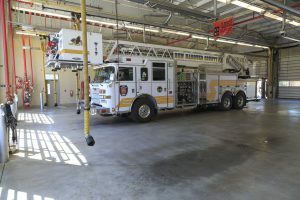 NFPA reports injuries to children 10-14 are twice as high. Never have any portion of your body directly over a fireworks device when lighting the fuse. Move back a safe distance immediately after lighting. Keep a bucket of water, water hose, and/or fire extinguisher close in case of fire. Light one firework at a time and then move away. After fireworks fully complete their functioning, douse the spent device with plenty of water from a bucket or hose before discarding to prevent trash fire. When are the professionals shooting fireworks?